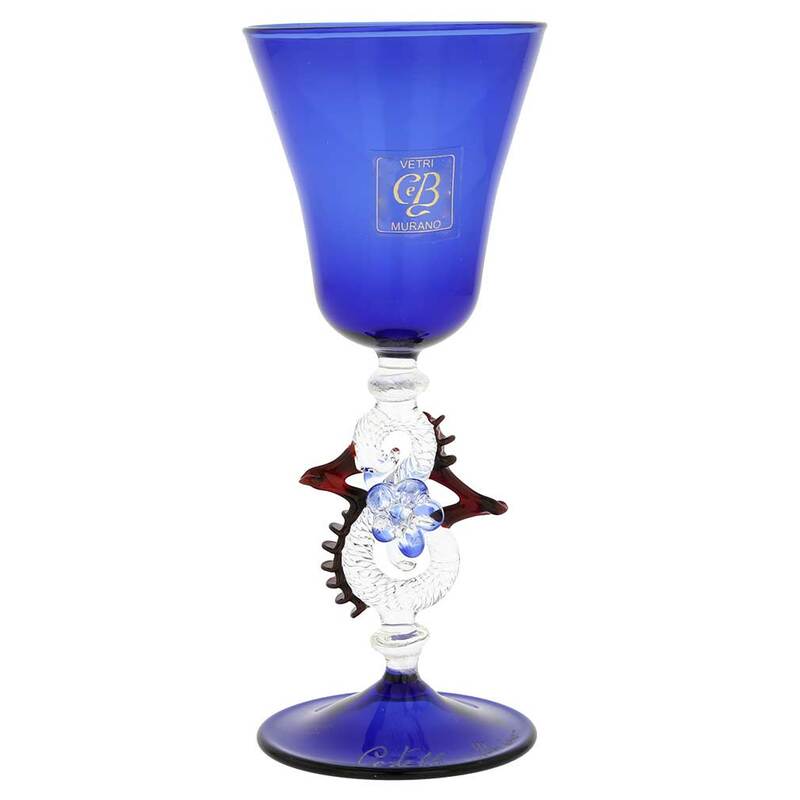 This exquisite Murano Glass Cordial And Liqueur Glass has graceful Venetian design with beautiful hand-blown form and delicate floral stem. 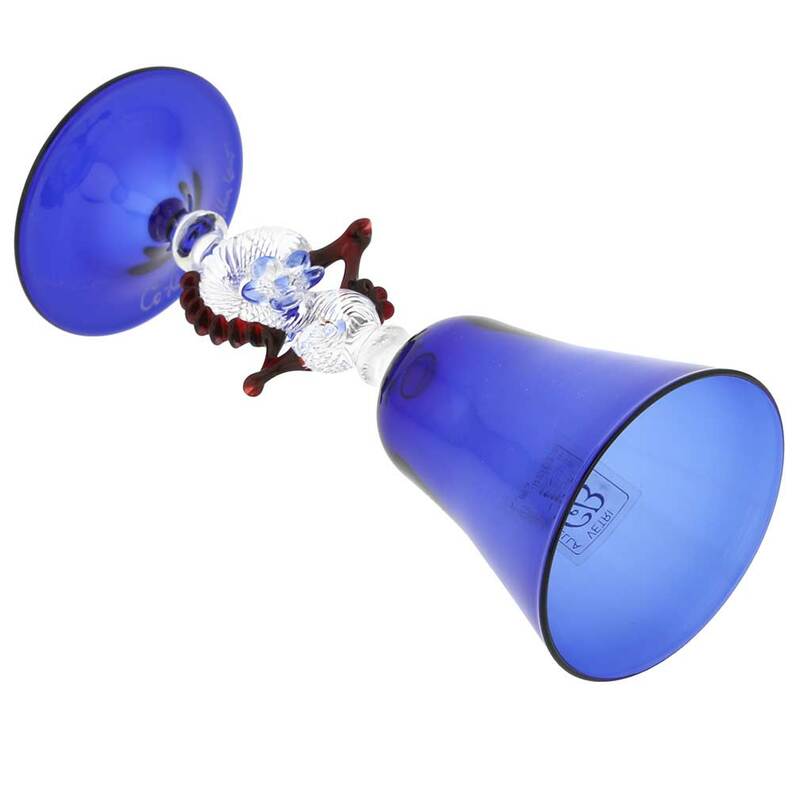 Fit for the most elegant cocktail parties and dinner receptions, these unique Murano Glass Cordial and Liqueur Glasses are exact copies of the ones created by Murano masters centuries ago, which you can still find in museums today. This traditional Venetian Sherry Glass can be used for delicious before- or after-dinner drinks such as sherry, grappa, brandy, port, any liqueur, or cordials. 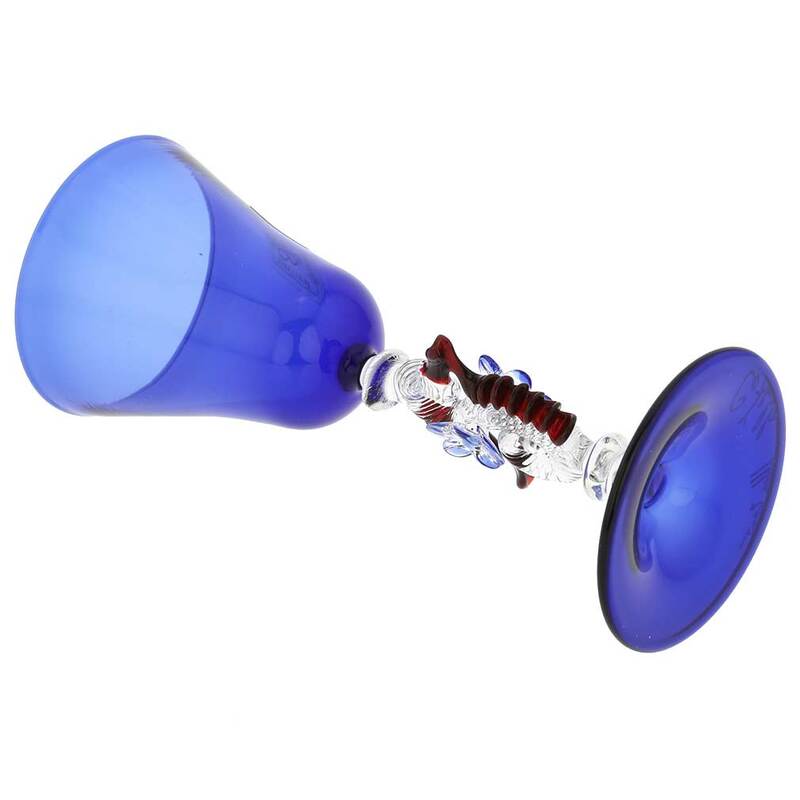 Authentic Murano Glass wine and liqueur glasses hand-blown by the top master artisans on Murano island make the best gifts for momentous occasions such as engagements, retirement, or anniversaries, or for corporate awards, and are guaranteed to be treasured for generations. 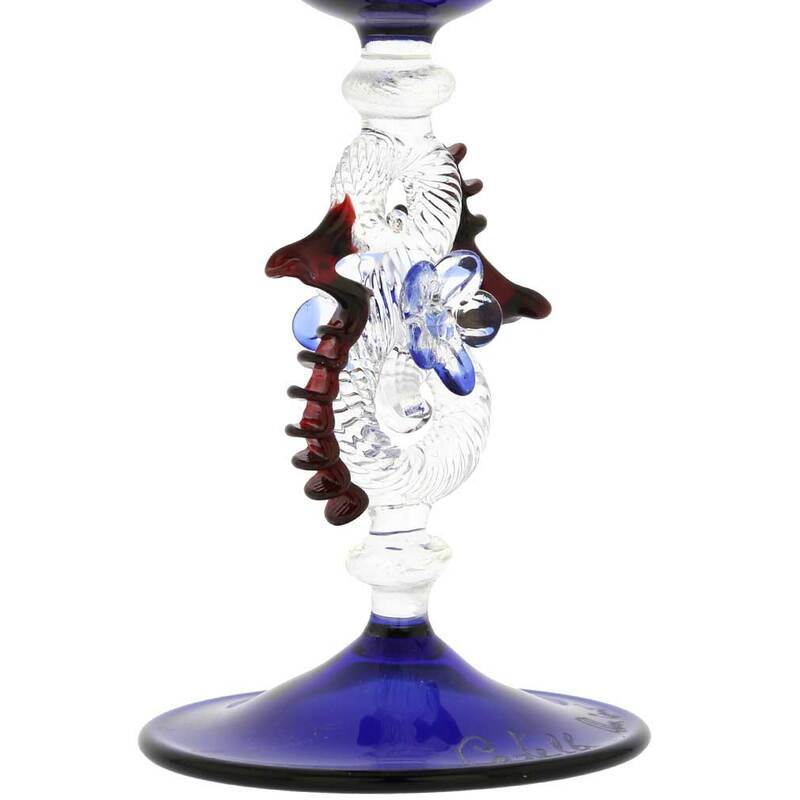 This Murano Cordial Glass is hand-blown by Murano masters whose company has been well known on Murano for centuries. The glass is signed on the bottom by the Master and is accompanied by the certificate of authenticity. This glass holds about 2 oz of liquid. It measures approximately 6 inches in height, the diameter of the base is about 2-1/4 inch. The liqueur glass is very well packaged for safe shipping. Because each item is a unique work of art made entirely by hand, slight variations of sizes and colors are possible. I BOUGHT THESE AS A GIFT. THEY ARE BEAUTIFUL. THE COLOR'S WERE JUST LIKE THR PICTURE.